Stocks look poised for a lacklustre start to trading on Tuesday. Investors are contemplating a new batch of earnings reports, including results from Yahoo! (YHOO) and Johnson & Johnson (JNJ). Washington DC will continue to get some attention as well. Stocks fell Monday amid renewed concerns about protectionist policies under new President Donald Trump. Meanwhile, some fresh data on the housing market is due out later this morning. Wall Street is still trying to predict how economic policy will go under the new Trump Administration. On Monday, the president told a meeting of corporate executives he plans to impose a major border tax, although he also promised a massive tax cut for the middle class and companies. The president also signed an executive order to renegotiate NAFTA and is expected to sign an order indicating his intention to withdraw from the Trans-Pacific Partnership. Amid worries about protectionism, the S&P 500 fell on Monday, dipping 5 points, or 0.3%, to close at 2,265. The Dow Jones Industrial Average shed 26 points, or 0.1%, to end at 19,800. 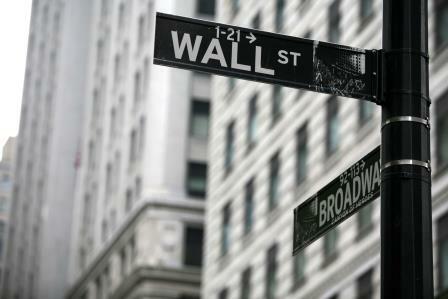 The Nasdaq Composite Index edged down 2 points to close at 5,552. Earnings news will dominate the corporate headlines for the next several weeks. On Tuesday, Yahoo! and Johnson & Johnson were among the biggest names likely to impact trading. Yahoo reported a profit for the fourth quarter that trumped Wall Street estimates. The company also said it expects a delay in completion of the deal with Verizon Communications Inc.
On an adjusted basis, earnings rose to $0.25 per share from $0.13 per share last year. Analysts polled by Thomson Reuters estimated earnings of $0.21 per share. Yahoo said now expects to close the sale of its core internet business to Verizon in the second quarter instead of the first quarter as earlier expected. The company cited “given work required to meet closing conditions” as the reason for the delay. Johnson & Johnson reported solid fourth-quarter results, with adjusted earnings above market estimates. However, sales missed expectations, despite growth from last year. The company also provided guidance for fiscal 2017. It said it expects higher earnings and sales for the year, but its forecast was below current market estimates. European stocks held steady Tuesday after three days of losses. As in Asia, a weaker dollar boosted resource stocks. Meanwhile, investors waited for the U.K.’s Supreme Court decision on whether Prime Minister Theresa May needs parliamentary approval to trigger formal Brexit talks. However, stocks pared early gains to turn flat after Markit’s flash composite PMI figures showed Eurozone business activity eased slightly in January. The UK and Germany were each up about 0.2% in mid-day trading. France was showing a fractional loss. Asian stocks closed mostly higher on Tuesday amid higher commodity prices, which were helped by a weaker dollar. Equity markets in the region also benefited from upbeat earnings results from Samsung Electronics. Chinese shares closed off their day’s highs in thin trading as investors moved to the sidelines ahead of holidays. The Shanghai Composite rose 5.78 points, or 0.18%, to 3,142.55. Japanese shares extended losses from the previous session, hit by a firmer yen. The Nikkei average dropped 103.04 points, or 0.55%, to 18,787.99. Gold futures were lower Tuesday morning, trimming strong gains from the previous session. A murky rate hike outlook and concerns about U.S. trade relations drove gold to the highest in ten weeks Monday, but traders are waiting on a slew of second-tier economic data this morning. March gold was down $2.30 at $1216 an ounce. Crude oil futures were little changed Tuesday as traders await further clues about the pace of U.S. production. The American Petroleum Institute reports weekly inventories this afternoon, followed tomorrow by the Energy Information Administration. The EIA last week reported a large build in U.S. stockpiles. WTI light sweet crude oil was up 10 cents at $52.85 a barrel.